Now I have found cheap games before (see previous blog entries). However, I think I set a new record today. That’s right. Sixty-six cents. After tax and saving 5% with my Target Red Card, the grand total was $0.68. Talk about breaking the bank! I bought this game just to say that I bought a game for sixty-six cents. And to give me an excuse to write something in my blog. 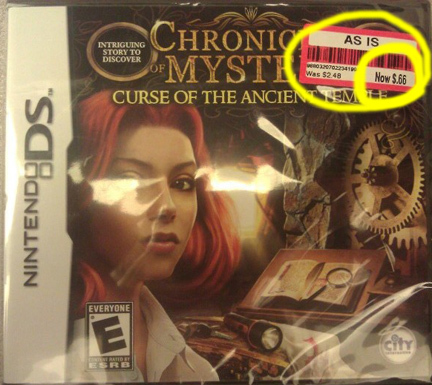 Whether this cheap price can be seen as a “deal” for this City Interactive title… well, that is a different question. Craigslist or Gamestop here I come.